Pannell Discussions » 305 – Feeling virtuous: what’s it worth? 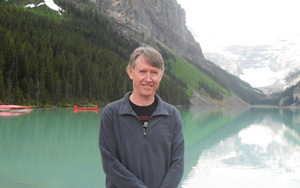 » Ideas in economics, environment, policy and more. Posted on 10 July, 2017 by David Pannell. This entry was posted in Economics, Environment, Latest, People, Water. Most people don’t think like economists Dave – house purchases are often more emotional than analytical. My guess is other things are happening, e.g. 1. The houses with tanks are actually better houses all around? How did you account for the other features of the house in the analysis? 2. People think that houses with tanks are owned by more ‘responsible’ people who are more likely to have looked after the house, so are willing to pay more for that house. 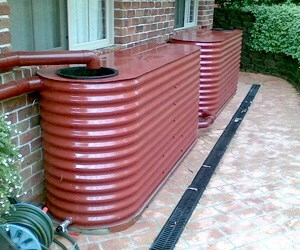 Where I live, rainwater tanks are now compulsory on all new houses. Ours is just big enough to water the entire back yard (probably only 200m2 or less) once. Of course the irony is, while we are apparently saving the environment re water, we are using more electricity to run the rainwater tank pump! 1. Yes, our stats included all the other features of the houses for which we had data. The $18,000 is specifically for tanks. 2. I suppose that could be possible. It’s a bit speculative. We had no data on that, of course. Hi Dave. More money than sense comes to mind if they paid 18k. For starters the tanks shown should cost 10% of 18000! A 20000-90kL is $6-7000 installed but it’s a whole backyard? Me thinks you’re maths is likely right- also did anyone take a sample for water quality- likely barely drinkable from city car effects & bird poo… be good to catch up – can find some better questions for you to get stuck into !! I agree about water quality. We had a rain tank in Albany, and I had to put in significant effort to keeping it reasonably clean. It was a pain actually. Henry, in another comment below, highlights that the taste of the water could be an advantage, and my daughter certainly agreed with that. But a cost for her was more tooth decay, and a cost for me was managing and regularly cleaning the tank. Thanks for an interesting paper David. I’m wondering if the houses also had other assets – such as solar panels – that could have confounded/ boosted the results? I’m also wondering whether the price differential might reflect fear (of running out of water) rather than virtue.. Your thoughts? Yes, we allowed for all of the other features of the houses, as best we could. We didn’t factor in solar panels, specifically. The results might be somewhat different if a family of five (bit extreme!) used the rainwater to replace bottled water at say 1L/person/day. Quite an attractive proposition in Adelaide where tap water is ordinary at best. Add to his wate used for cooking. On the farm we were entirely on rainwater, as a result of which our solar hot water system was as good as new after 32 years. The life expectancy in Adelaide is 15 years. On top of that, we felt virtuous. Fair enough Bruce. Still doesn’t explain why people were willing to pay so much more than it would actually cost to install a tank. Good and interesting research David, and I think on the money – people are willing to spend significant sums on ‘feel good’ measures (the ‘economics of the warm glow’ in the literature). This has important policy implications, not just in promoting real social improvements, but in ensuring governments do not over-promote marginal improvements. For example, and related to your analysis, recent choice modelling studies have revealed large wtp for recycled water and for recycled solid waste. In some instances, the net value of water, material and energy savings are tiny to negative. The issue as I see it is that people are not in a position to do the detailed technical (hydrological, material transformation, population exposure, health economics, etc) analysis to estimate value, and therefore make judgements based on social norms and feel good messages widely promulgated. So if the community’s scarce resources are to be directed at the environmental improvements that really matter, evidence-based policy and nuanced government education programs are needed. Forever the optimist! Thanks Drew. I agree. Now that you say that, I am reminded of some research by a colleague here at UWA who found that people had a very high willingness to pay for lamb that had been produced in a low-CO2-emitting way. The results implied a valuation of CO2 emissions that was way off any reasonable scale. A large part of it is probably people’s inability to know all the relevant numbers and process the information, so they make pretty crude judgments, as you say. We have a 31,000L tank in Melbourne for a 3/4 acre lot. I would put another in but will need to make sure the roof catchment area is enough to fill it. I don’t see much point in small tanks — perhaps it’s all about the taste of the water and the taste of the tea and coffee. Melbourne coffee Nazis — and there are many — may pay such a premium for taste. So David, did you consider taste as a factor? Apropos of/to my post a second ago, the 31,000L tank cost us about $10,000 all plumbed in about 2009. Not that much inflation since then so another conclusion is that Perth home buyers are too lazy to organise their own tanks or are too busy or super rich or even just stupid or home buyers are being ripped off by tank installers. Could “peace of mind” be playing a part? given history with draughts etc.. a bit like an insurance premium. Possibly, but if so, the level of insurance actually provided would be very small. The water stored in most tanks would not last long at all if you were relying on it, and if it’s a drought, it won’t refill. But perhaps people have unrealistic expectations about how much insurance they would be getting. Perhaps there is a flaw in the experimental design which might account for the apparently counter-intuitive results? Appears to me that the investigation is based on the assumption that the price of the house is influenced by the presence/absence of a rainwater tank – has this been tested? It is possible that, despite your statistical machinations, something else is influencing the prices paid; perhaps something external to the property (proximity to service, including transport, shopping and priority schools come to mind). Stretching the point, timing of the sale could be a factor – higher prices paid for properties with rainwater tanks during summer/drought as water availability is a higher consideration? Would a small sample of interviews with purchasers help suss out why they paid the prices they did help resolve your concerns with notionally irrational decisions? Mis-classification (presence/absence of a rainwater tank in real estate agents description) would also seem to be a potentially significant source of error . Of these suggestions, the one we weren’t able to fully capture in our stats is the possibility that people who have a rainwater tank might tend to also have other positive features in their house beyond those we already captured. We did capture a bunch of positive house features, but we can’t rule out the possibility that there might have been something else that (a) added to house value and (b) was correlated with the presence of a rainwater tank. Hi David – interesting article! I haven’t had time to read the actual paper yet, but I will. Reading this post, I first wondered whether the result was an artefact of something like sample size? My second thought was whether there was some sort of insurance value being associated with tanks. The amount I know about municipal water supply in Perth is pretty limited, but from what I understand the sources have had to be diversified a lot in the last 2 or 3 decades. Is there any concerns about security of supply? Tanks could add a lot of value if there were expectations of disruptions in future? Having had a look at your paper now, it certainly doesn’t look like a sampling issue! I agree, it’s not about sampling. It could be related to insurance, but only if people have an unrealistic perception of how much insurance they’d actually be getting from a typical small tank. I have been thinking about this study for some time, David. Such strange results. I think the high value is likely a combination of the ‘sustainability-signalling’ of the tank, and a misjudgement by buyers of the long term value of a tank to the owner. One interesting implication of the study is that policies that replace compulsory rainwater tanks with more cost effective measures (for example, a more cost-effective centralised recycled water project) would in theory lose the $18k WTP value that you have measured. That is a large loss per property. That’s a really interesting point Kym. What a conundrum! Very interesting read, and I’m not so surprised by the results. Not all people are economists! Your findings are consistent with Water Corporations thinking a few years back when they took rain water tanks off their domestic rebate scheme not long after they introduced it. They concluded it wasn’t really providing sufficient water-savings (given Perth’s rainfall distribution versus when extra water is needed) to warrant the expense unless plumbed into toilets and/or washing machines. My parents love their water tank in Manning as i) Dad reckon the coffee tastes better and ii) they don’t mind bucketing it into their washing machine over winter (not summer as it is needed for their coffee).